Welcome to the Lafayette Bible Baptist Academy. It is our privilege to introduce you to our school and to know of your interest in Christian education. We accept the challenge of Christian education as a God-given honor to train children for the Glory of God. We want to treat every child as if we are directly responsible to God for their well-being and guidance. Thank you for your parental acknowledgment of God’s place in your life and the life of your child. 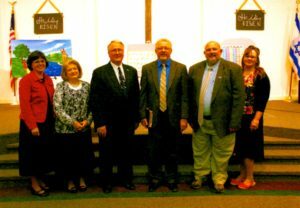 LBBA is directly operated by the Lafayette Bible Baptist Church. We believe without reservations that our school is a ministry of our church, and therefore, the pastor is the head of the church and the school. All policy decisions are made by the pastor of this local New Testament Baptist church. We teach Bible doctrine and hold strictly to the King James Version of the Bible. To gain the fullest profit from an education at LBBA, you must be an active member in a local Bible-believing church. If not, our doctrine will be counter-productive in the life of your child and in your home. We certainly encourage you to “see what’s going on” in the school and be an active part of your child’s education. We want you to know that the basis for our ministry is to help you meet your responsibilities as a parent. The choices that you make for your children will have a major impact on their lives for many years. Where to send your children to school is certainly one of the most important decisions that you will make. 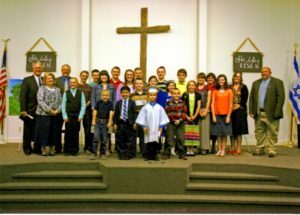 The goal of Lafayette Bible Baptist Academy is to provide the very best education with a strong emphasis on spiritual truths. The Biblical principles upon which our country was founded are taught. Students are encouraged to read the Bible and pray. For a handbook or more information, contact Scott Barker at (636) 273-1204 or use the form below.